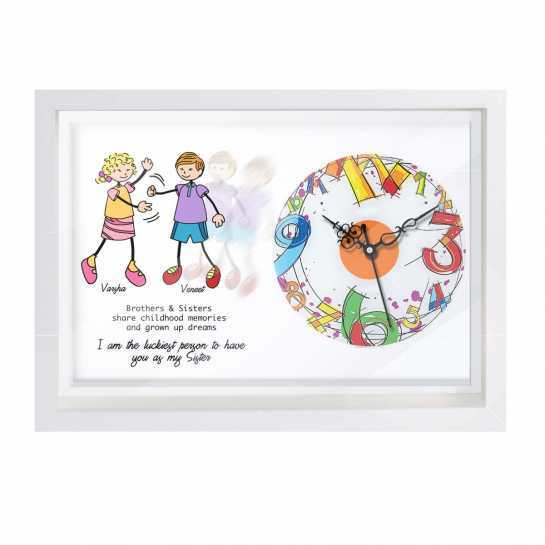 Brother and sister personalized clock with your names and a little message to show your appreciation for your sister. Plus a clock that makes the gift usable and practical. A very stylish, premium quality, useful and customized gift for your brother.